Game Bее Story for iPhone and iPad. 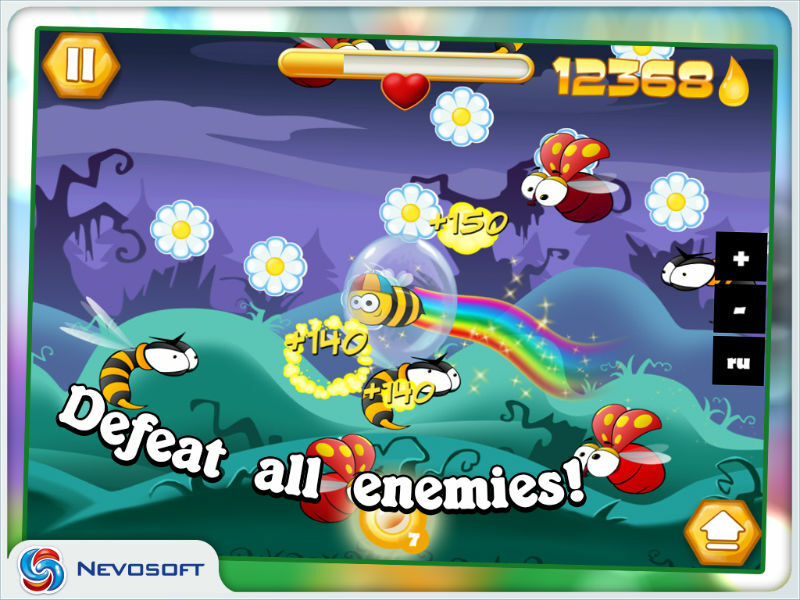 Download game Bее Story for iPhone and iPad for free at Nevosoft.Com. 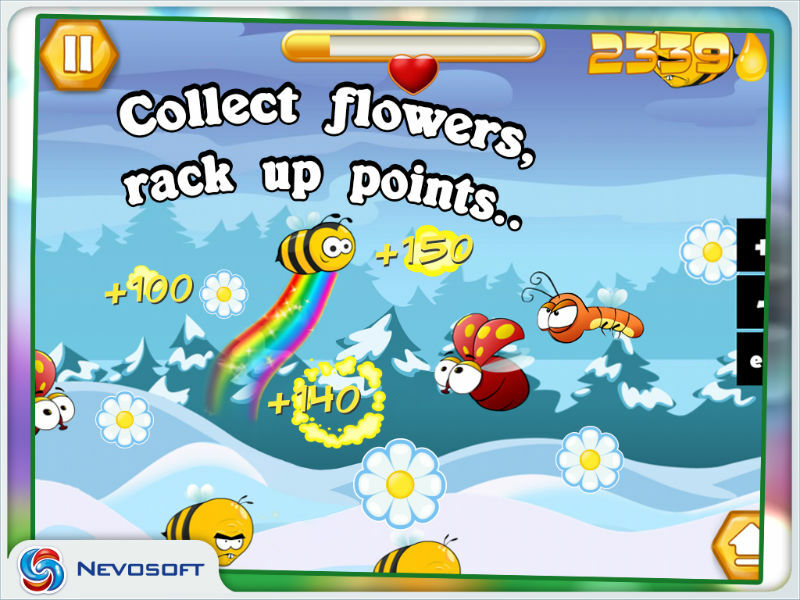 Description, walkthough of Bее Story for iPhone and iPad, buy game. The main character of this story is a charming bee. This bee’s calling isn’t to fly over the meadow and collect honey but rather to help someone in trouble. 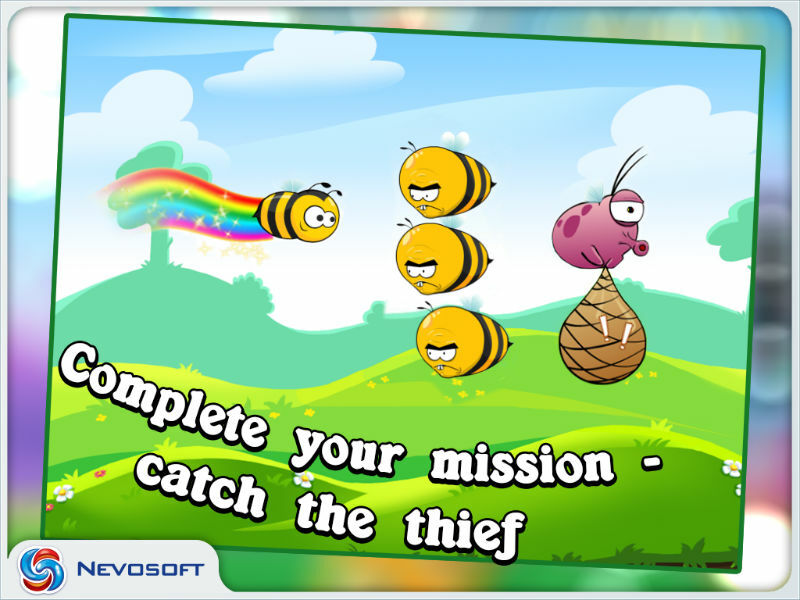 A villain is roaring thunderously past the bee with a kidnapped victim in his bag. So the brave bee is on a mission to catch the perpetrator! But it’s not easy to pursue the kidnapper. The players will have to defend themselves against the other insects that have entered into a conspiracy with the villain. 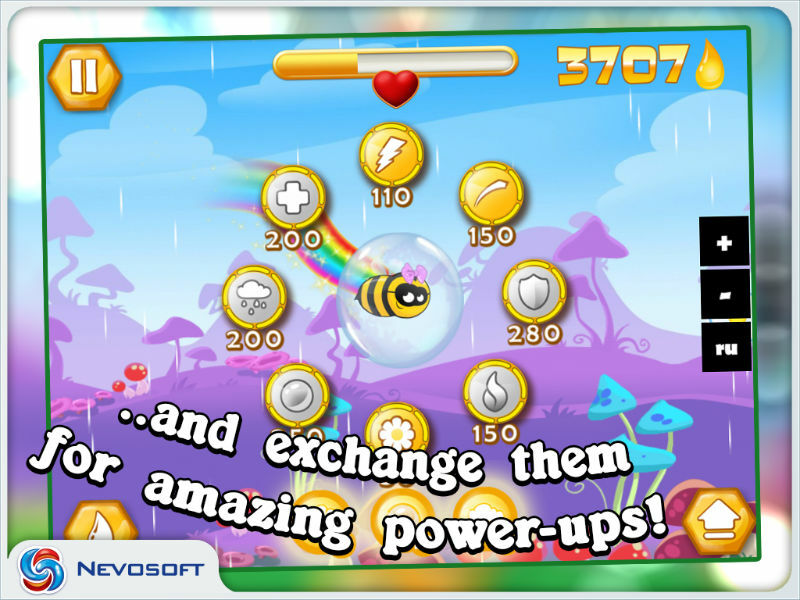 Players can earn bonuses and points to unlock super abilities, funny costumes and new scenic locations. 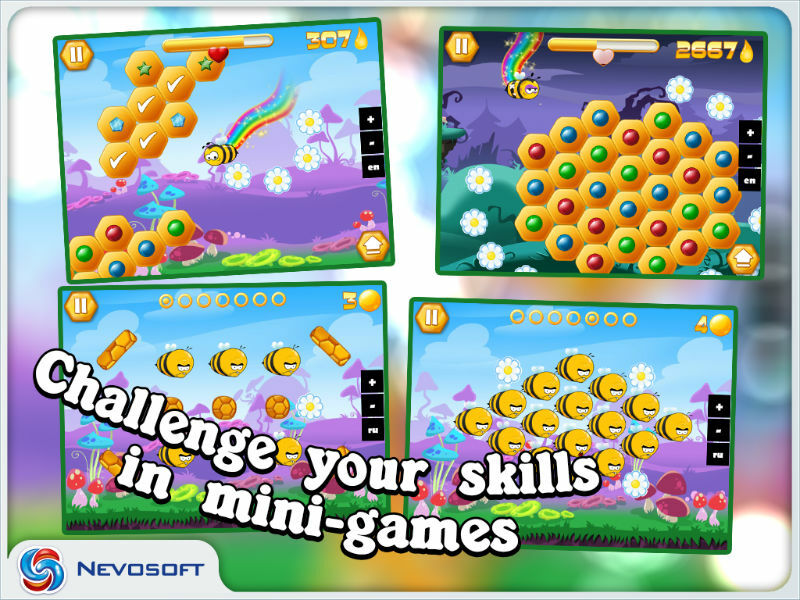 The game keeps players on their toes by mixing up the gameplay in various mini-games and bonus levels!